Need a new boiler in Deeside? Get FREE no-obligation quotes now! With over 25 years experience we can install full central heating systems, supply and fit gas boilers, gas fires or electric fires. Dee Gas is owned by Mr Paul Roberts. Paul has been in the plumbing business for over 20 years and Dee Gas have an excellent reputation in our area. J.A Gas Services are based in Mold, Flintshire and are fully Gas Safe certified. Honest, reliable, trustworthy local heating and plumbing engineer. Extended warranties on Worcester bosch boilers. We install and service worcester bosch gas boilers, all boilers fitted by ourselves come with a free five year warranty. 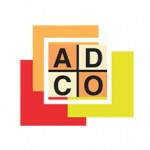 ADCO Plumbers in Chester is your first choice if you are looking for a reliable, knowledgeable plumbing and heating service in Chester, Wrexham or the Wirral. Current fuel type: gas. Current Boiler: emersion heater only. Mains gas connected. Replace ASAP. Contact anytime. Power flush to heating system and boiler. Contact anytime. Current Boiler: Potterton Puma. 20 years old. Not working. Located in kitchen. Keep in same place. Replace ASAP. Contact anytime. Current Boiler: Vaillant. 13 years old. Not working. Located in the kitchen, keep in the same place. Work timescale within 1 month. Contact anytime. Current Boiler: Ideal. Age: 25 years. Working. Located in the kitchen, keep in same place. Replace ASAP. Contact anytime. Appointments anytime.